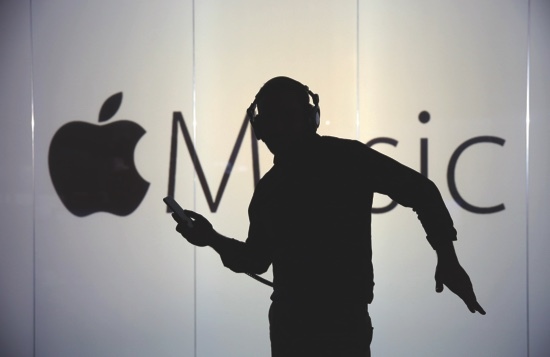 China has shut down Apple Inc.’s iTunes Movies and iBooks services, serving notice that the world’s most valuable company is no longer immune to the long reach of Beijing’s powerful regulators. For years, Apple was one of the few Western companies allowed to grow almost unimpeded in China. The company has been selling computers and iPhones there for years and has managed to introduce other products, including the App Store and the Apple Pay mobile payments service, without interference. Six months ago, Beijing allowed Apple to roll out iTunes Movies and iBooks. Then, this month, China’s State Administration of Press, Publication, Radio, Film and Television ordered the services shuttered, according to a person familiar with the situation. The order means Chinese consumers can’t access some of the services Apple uses to keep them wedded to its hardware. The company has become increasingly dependent on China, its second-largest market, as iPhone sales growth slows at home. Reasons for the shutdown weren’t clear, but it’s possible China’s government took issue with content in Apple’s entertainment services. “There is a bit of a cat-and-mouse game between the tech and content providers and what’s acceptable and not acceptable in China,” said Brian Blau, a Gartner analyst. Under President Xi Jinping, China has exerted more control over the technology sector and what information is available online. The popularity of Apple products supports the government’s aim to shift toward a consumer-driven economy, but the company’s online services will be increasingly scrutinized, said Samm Sacks, a China analyst at Eurasia Group. Apple shares fell 29 cents to close at USD105.68 Friday, leaving them down 3.8 percent in the past week. That’s the worst week for the stock since late January, according to data compiled by Bloomberg. In February, the regulator and the Ministry of Industry and Information Technology released new rules governing publication of virtually all types of Internet content in China. The regulations kicked in last month. Sacks said she’s tracking about 10 other different laws and regulations that may make it more difficult for U.S. tech firms to operate in the country. “The effect of this is you are going to see a more fragmented global Internet system, where China asserts control over an alternate Internet that is at odds with the Western ideas of free flow of information,” said Sacks. Still, while the affected services for downloading movies and books aren’t big pieces of Apple’s business, the shutdown signals a change in behavior by the Chinese government toward the world’s largest technology company. Apple has largely avoided the kind of interference that has plagued other American firms. Google’s Web search and Facebook’s social network are inaccessible in mainland China. Last year, Qualcomm Inc., the world’s largest maker of semiconductors for smartphones, paid a $975 million fine and agreed to charge Chinese companies a lower royalty rate in order to resolve an antitrust investigation by the Chinese government. Microsoft Corp., Cisco Systems Inc. and International Business Machines Corp. also have faced scrutiny from regulators in China. For the three months ended December, revenue in Greater China, which includes Macau, Hong Kong and Taiwan, rose 14 percent to USD18.4 billion. Chief Executive Officer Tim Cook has pledged to continue investing despite an economic slowdown. In China, Apple was the third-largest smartphone vendor in the December quarter with 12.5 percent of shipments, according to researcher Canalys. That trailed Huawei and Xiaomi, who each had about 15 percent.